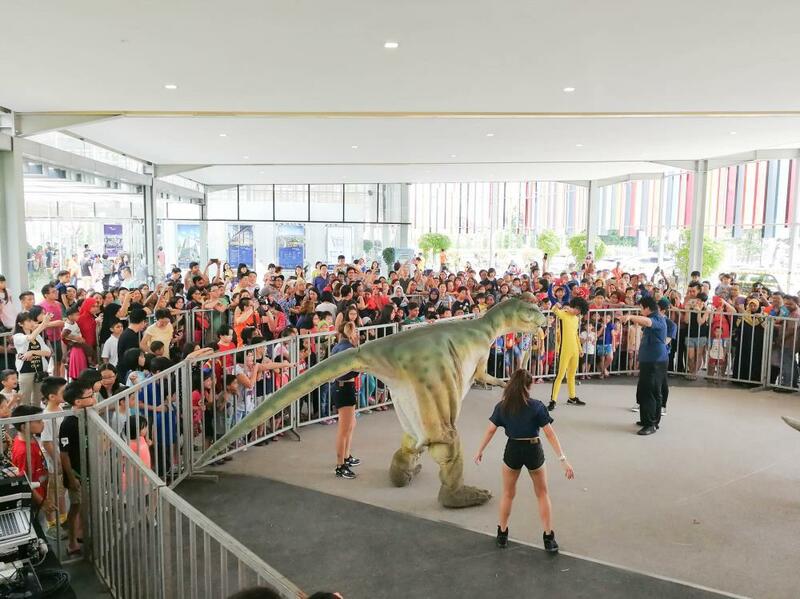 SETAPAK, 7 April – City developer, SkyWorld Development Group saw more than 1,200 visitors turned up at their FIRST “Dinosaurs Come Alive” show and tell exhibition at its flagship SkyWorld Property Gallery @ Setapak. On the 1st of April 2017, purchasers, registrants and invited guests were treated to an action, interaction, comedic and most importantly, educational Dinosaurs show and tell session by professionally trained performers. Light refreshments and lunch were also provided to all the visitors – young and old alike. 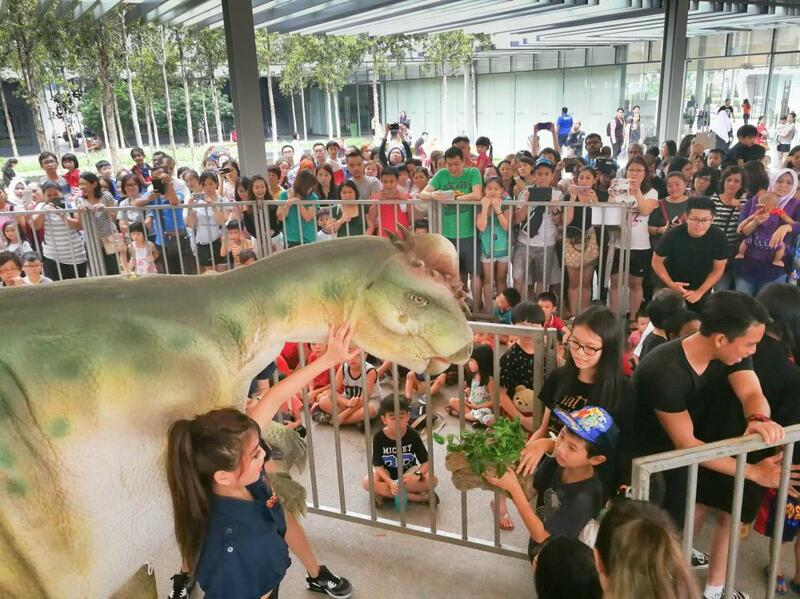 SkyWorld has been enjoying positive take-up on all its projects and this Dinosaurs show and tell exhibition was part of SkyWorld’s engagement initiatives as well as their appreciation gesture to the purchasers for their amazing support. For more info, please log on to SkyWorld Development Facebook. Children treated to a photo session with Pachycephalosaurus.